Once you head back to Spinner cay, another cutscene will ensue. It seems that McGuillicutty has decided that the negotiations were going nowhere and sought out to bully the Vacaylians into surrendering the ritual spell to him via a blockade. Anemone in his fright flees to the shop and you are left alone on the docks. But not for long. It seems that in all the ruckus, Elaine has fallen by the Library and is trapped underneath some rubble. Before you rush off to save her, Winslow informs you that he will be taking the Screaming Narwhal off somewhere where it can’t be caught in the crossfire. Rush off to rescue Elaine and realize that she’s also been infected with the dreaded Pirate’s Pox (like Threepwood was earlier at the scene of the cliff). Anyway… Elaine will tell you that McGuillicutty has taken the Chieftain hostage and that he is way past reasoning now. She tells you of a tactical plan wherein she will command her ship, and you will attack from Spoon Isle (using the cannon) while Le Chuck will attempt to rescue the Chieftain by sneaking past the blockade. Anyway… despite his protests, Guybrush agrees and Elaine rushes to her ship. In her wake, she leaves behind a handful of hot coals. You can acquire these by using the bucket you found by the waterfall. Then rush up to the Royal Chamber and takes the Hot Tub Control (where the Chieftain is situated) and take your leave. Once that’s done, head on back to Spoon Isle and straight to the Vacaylian Barbeque. 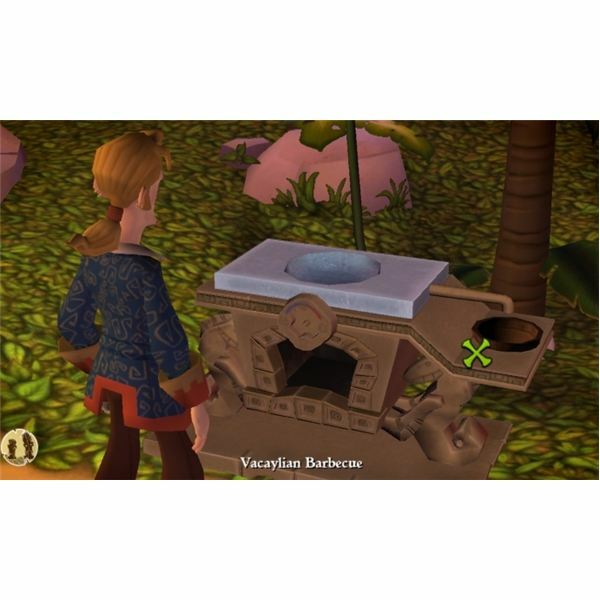 Place the Hot Tub Controls on the Vacaylian Barbeque and the bucket of hot coals underneath it. Then melt your Pyrite Parrot thereby creating Fool’s Gold. What will you do with that? Simple. Head up to the Cliff and pour the pyrite over the edge (where the altar used to be). Then, press the icon that will take you to the entrance and go to your left. Keep heading left (you’ll know you’re in the right path when you’ve passed by a skeleton) to where the broken altar is. Here you’ll see that the pyrite solution has fallen right where the turtle artifact was and created a fake mold of the Turtle Artifact. Remember that henchman who saw Le Check with the Turtle Artifact? They’re here in the island, just above where the Fishing Well is and they’ve ambushed Le Chuck in hopes of acquiring the Turtle Artifact. Attach the Fake Artifact to Le Chuck’s person and get rid of the henchmen. Once that’s done, tell Le Chuck your version of the plan, where he will stay in Spoon Isle instead of you. Once Le Chuck starts attacking the blockade, get into your raft and go right past the blockade where the two pirates from earlier are manning the ship. Distract them once again and wait for Elaine to arrive. When you do that, slip past the two ships and straight to Brillig Island, where wonder of wonders, you meet the two pirates again. It seems that McGuillicutty has had enough of their incompetence and disposed of them. In retaliation they sought to grab the gold artifact and go on their merry way. Unforunately, since they’ve buried it so many times, they actually forgot where it is. Trick them into thinking that the chest is by the rubber tree so that they can dig through the roots. Once they do that, use the prying tool to topple the tree over. You will use the rubber tree later as a replacement for your mast. Leave Brillig Island and make way to McGuillicutty’s ship. The fool actually thinks that he can force the chieftain of the Vacaylians into submission by drowning him – a merman. Unfortunately, you can’t attack the enemy ship with your own cannon because it’s useless. So why not try insulting McGuillicutty until he pays attention to you? Insulting him will lead to McGuillicutty firing a cannon at your ship and once again, rendering your mast broken. Windslow informs you that you need to have the mast repaired again so head back to Spinner Cay and ask Anemone to do his job. Back at the Royalty Chamber, the Chieftain of the Vacaylians thank you profusely and restore the Pyrite Parrot in its original form and back to you. Aside from that, he will impart with you the secret knowledge of the summoning ritual for the sea creatures (where you learn that sea creatures like playing with balls of gold and being told to "get the ball). Do this by the dock and the sea creatures will arrive ready to take you to the Esponje Grande. Unfortunately, before you leave, Elaine informs you that she will be staying with Le Chuck as they still have to take the monkeys home. 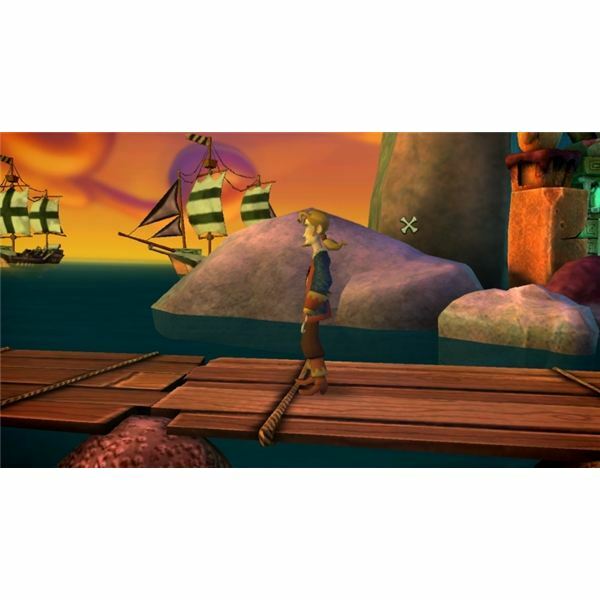 Saddened but not broken, Guybrush Threepwood sets off alone (but not before arguing with Windslow about the map pointing thing again). 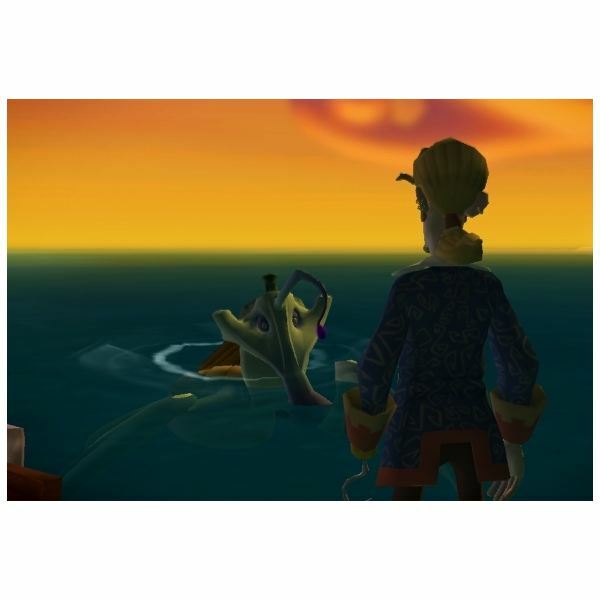 The final cutscene shows Morgan Le Flay coming back to the Screaming Narwhal in an effort to make Guybrush Threepwood surrender to De Singe. The ensuing dialogue will of course count for nothing as before the resolution to this standoff is sought, the Screaming Narhwal is swallowed by a monster manatee. With that, we’re done with Episdoe Two of the Tales of Monkey Island. We’ve finally collected out artifacts and are on our way to the Esponje Grande, but what about the questions left hanging? What will happen to Threepwood and the Screaming Narwhal in the mouth of the Manatee? 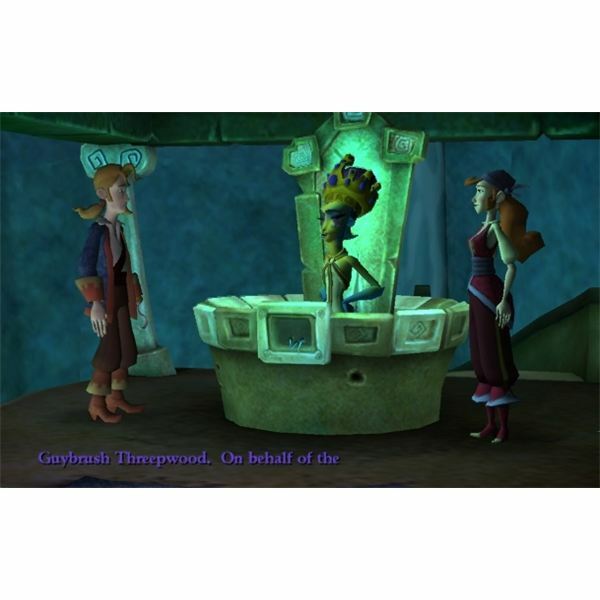 Will Morgan Le Fley join Threepwood or will she make do on her word and deliver him to the Marquis de Singe? FInally, what will happen to the monkeys that Elaine and Le Chuck wish to bring home? So many riddles! So many questions! All of which will be answered in the third installment of Tales of Monkey Island. So watch out for the next installment and walkthrough of this series, aptly called: The Lair of the Leviathon!